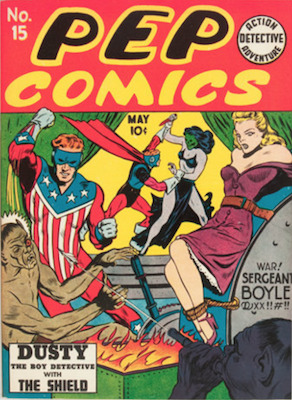 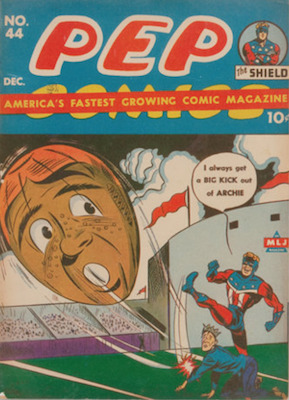 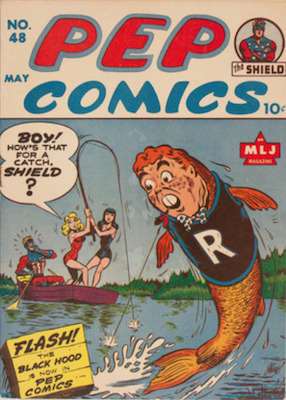 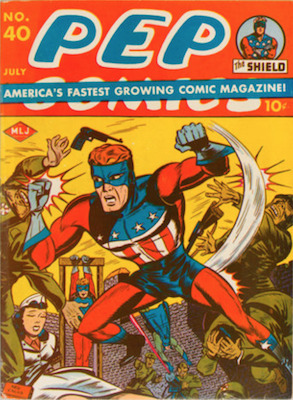 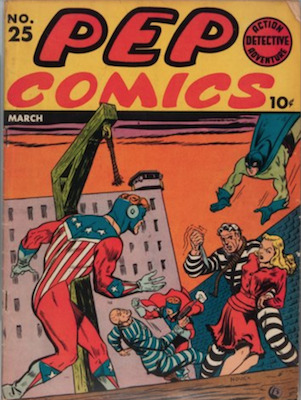 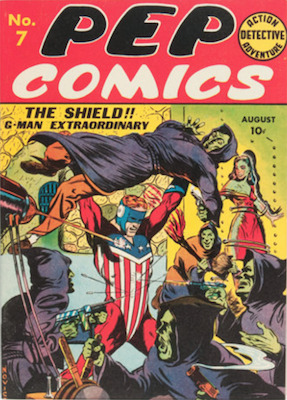 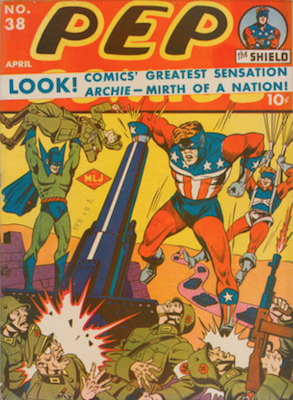 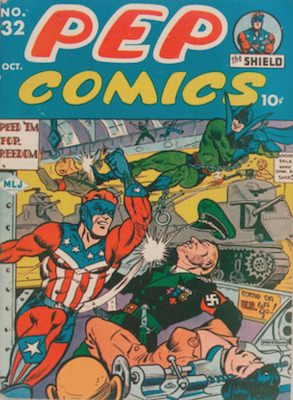 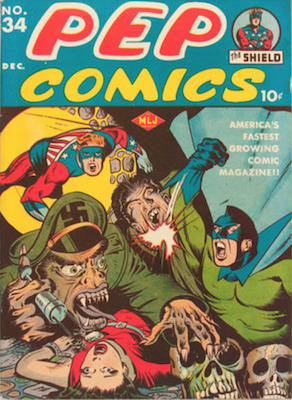 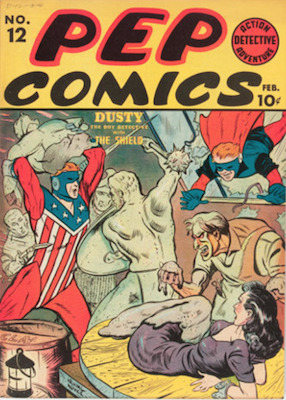 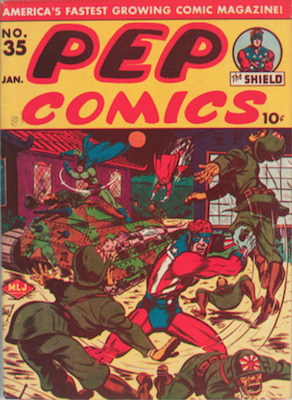 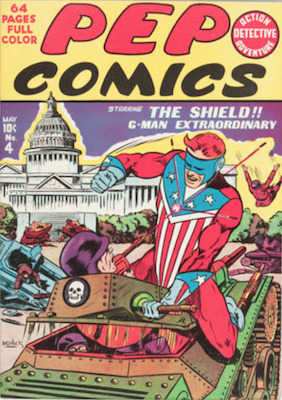 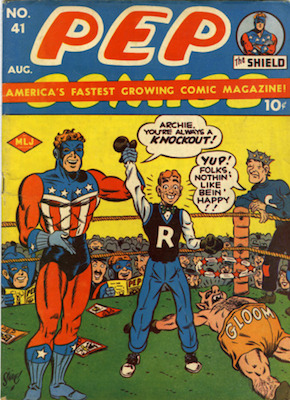 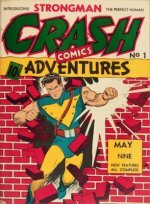 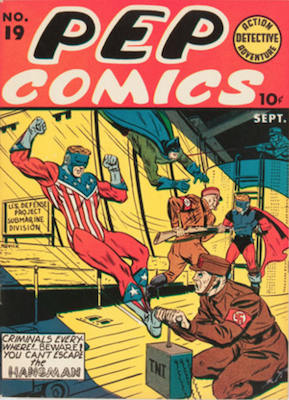 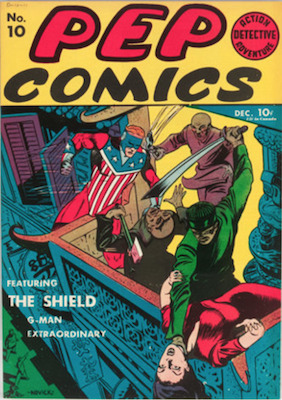 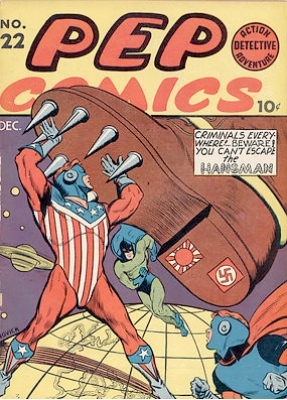 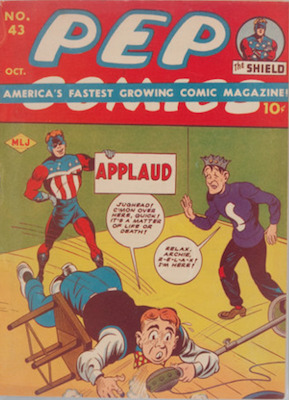 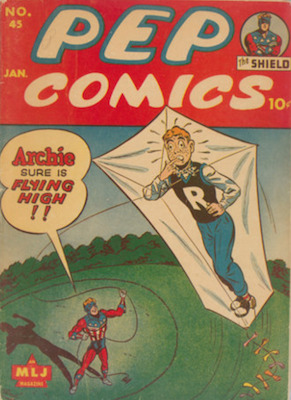 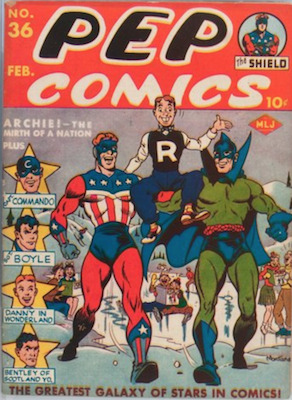 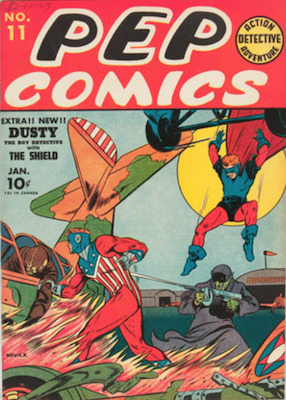 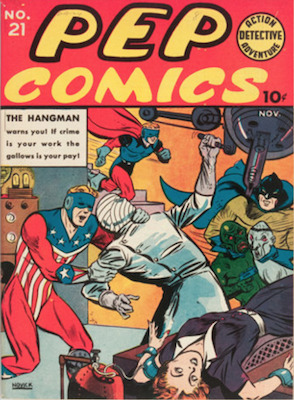 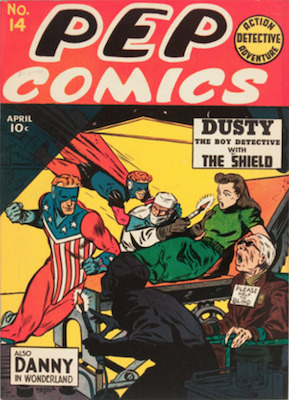 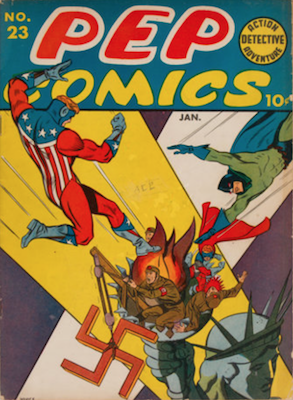 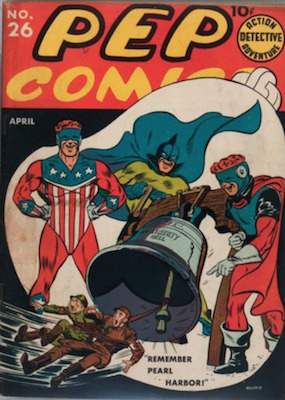 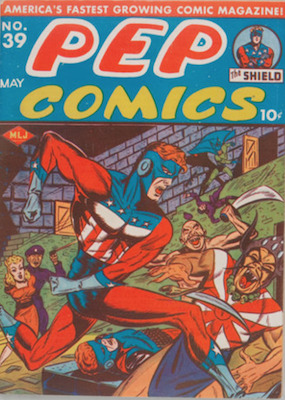 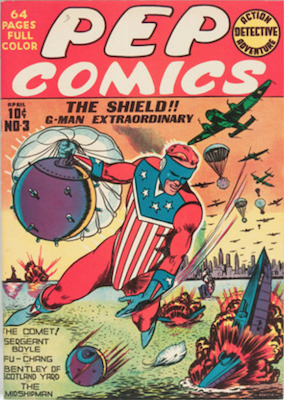 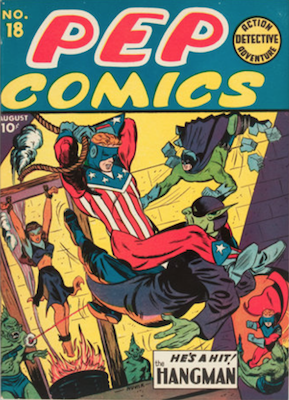 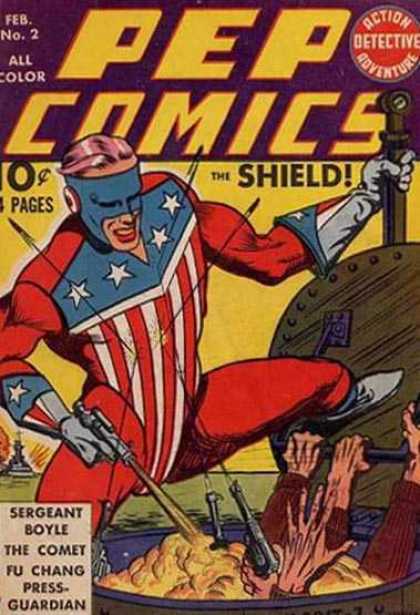 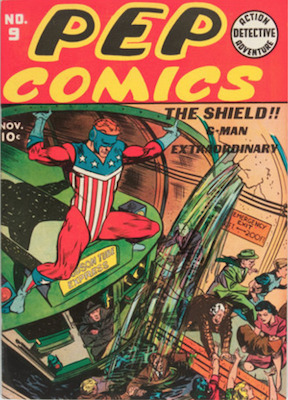 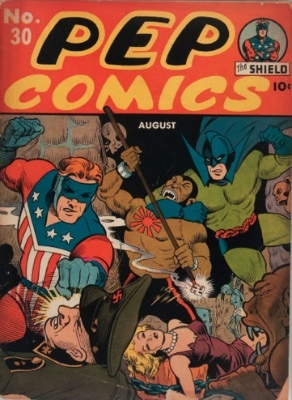 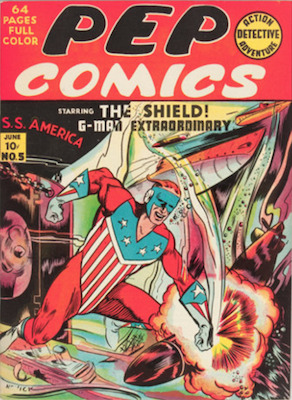 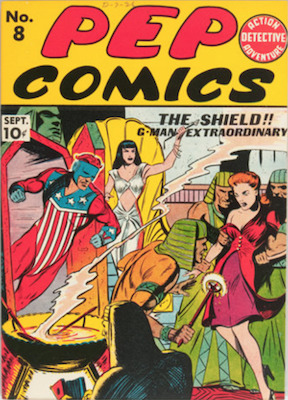 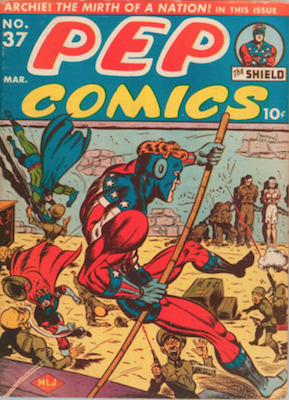 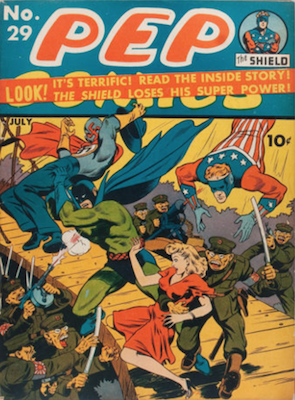 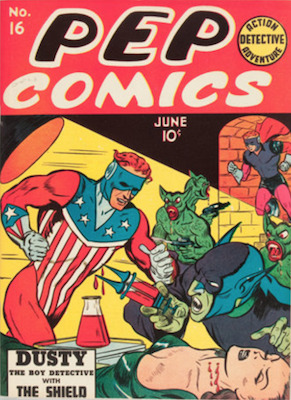 Pep Comics Price Guide: Pep 22 Values, #1 to #100 and Beyond! 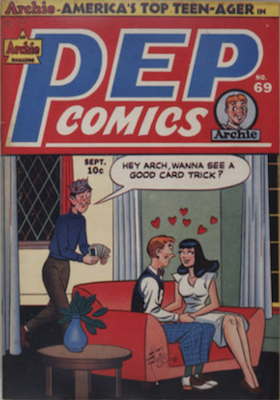 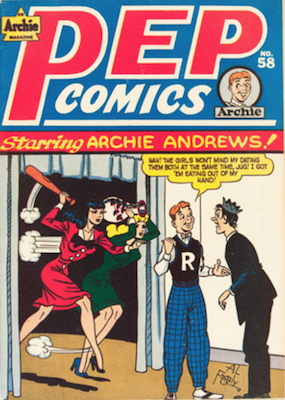 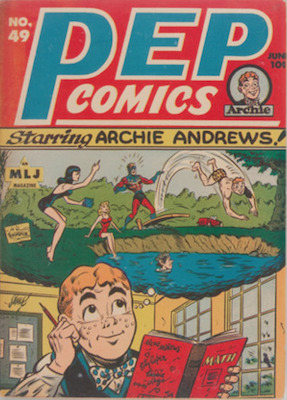 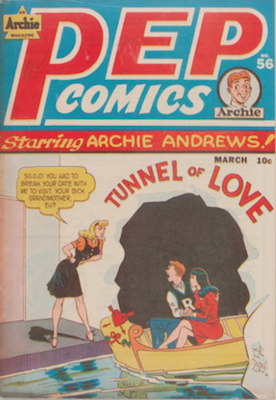 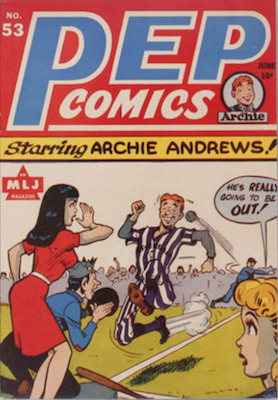 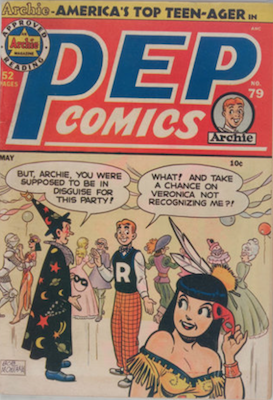 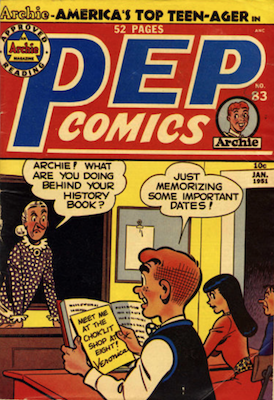 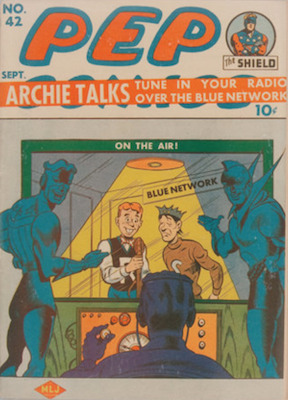 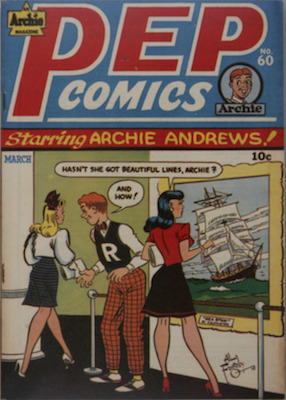 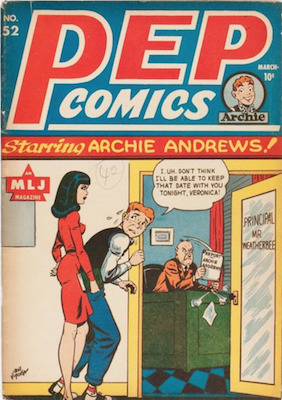 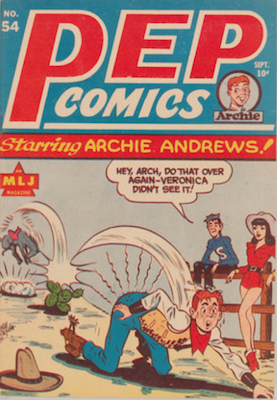 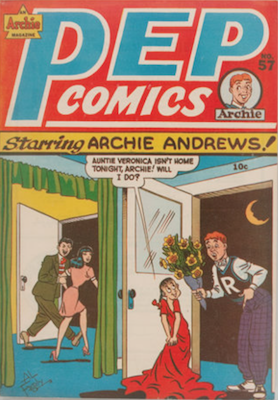 The first appearance of Archie in Pep 22 led to so many important introductions later in the series, and consequently lots of valuable books. 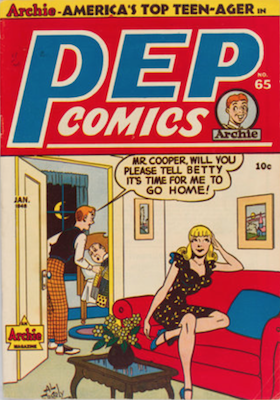 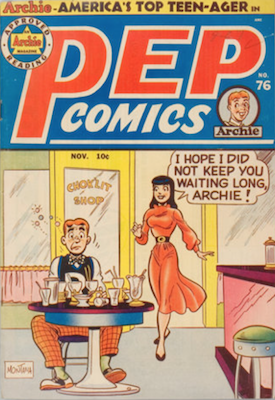 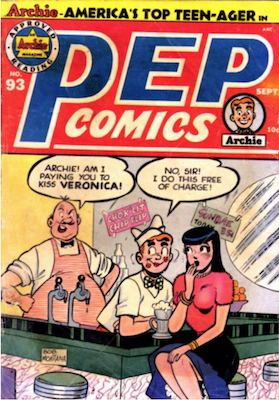 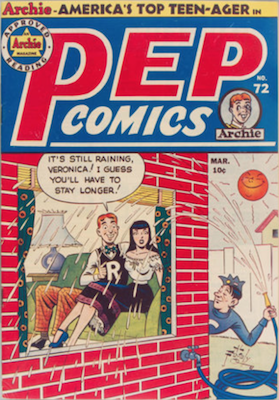 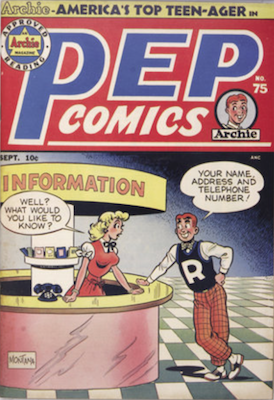 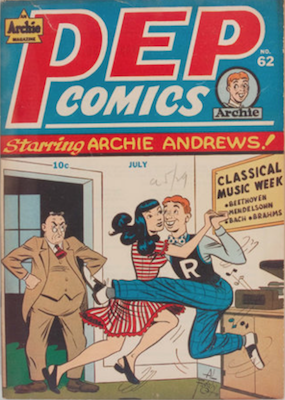 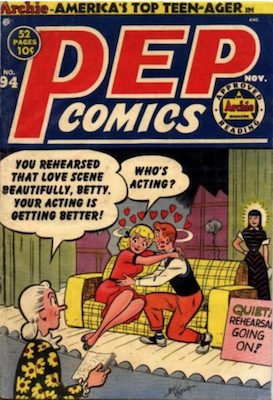 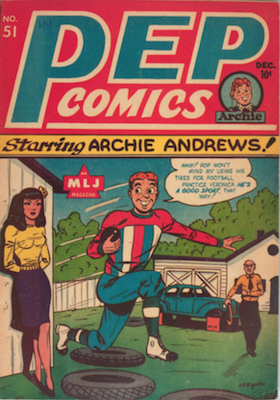 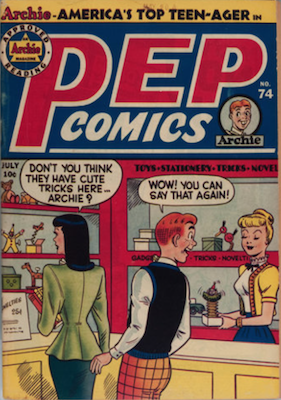 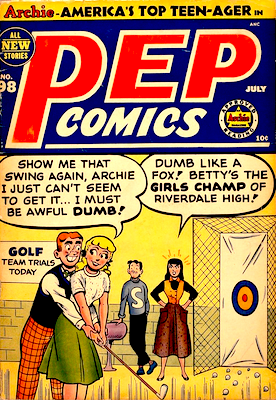 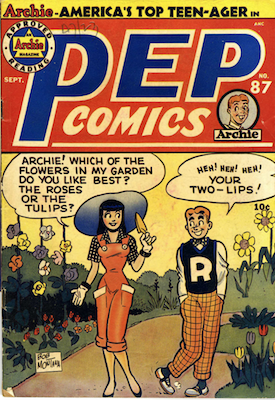 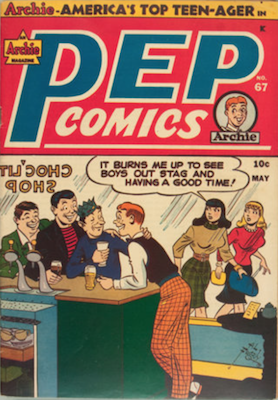 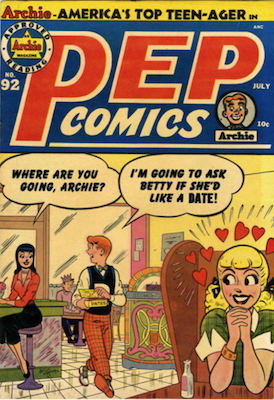 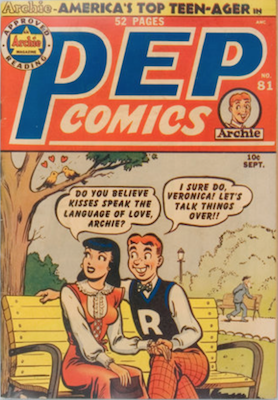 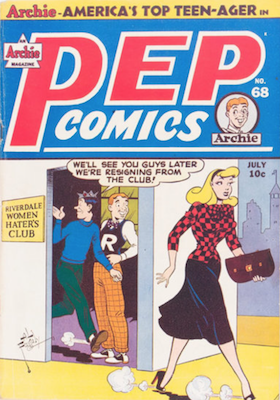 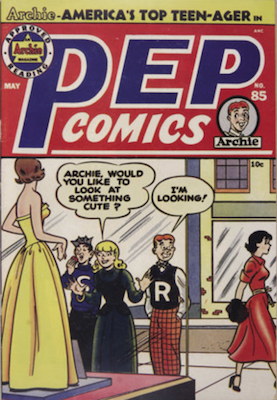 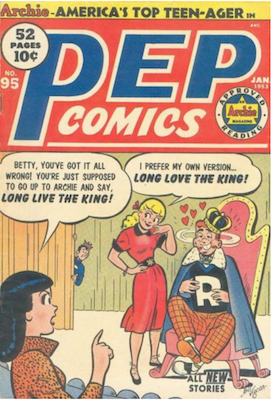 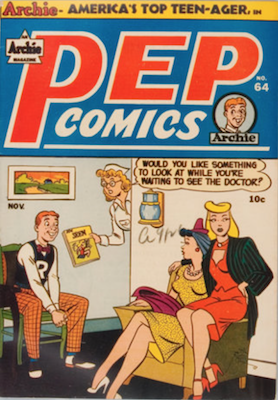 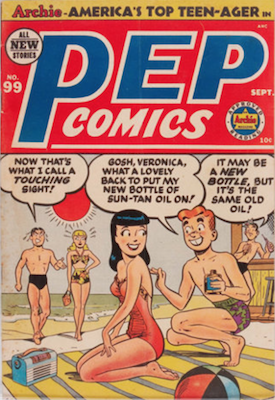 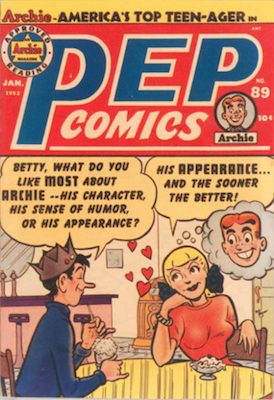 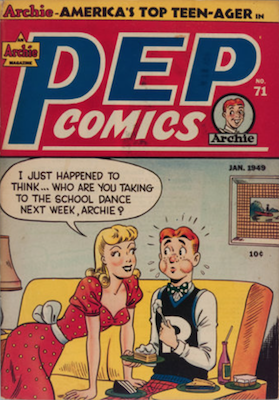 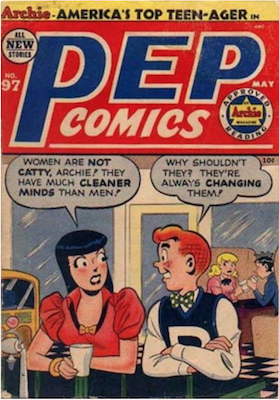 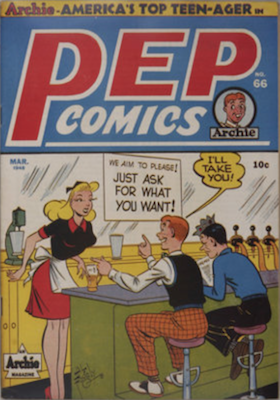 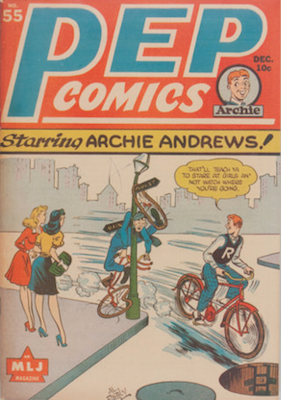 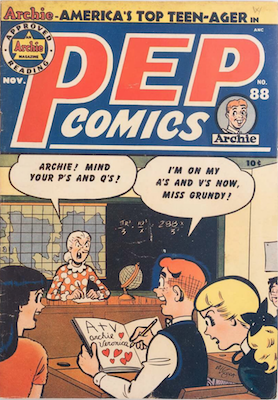 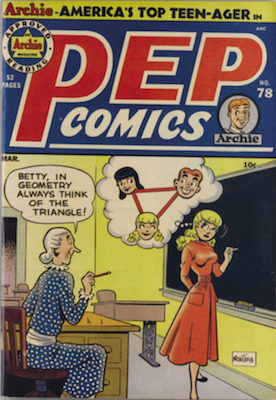 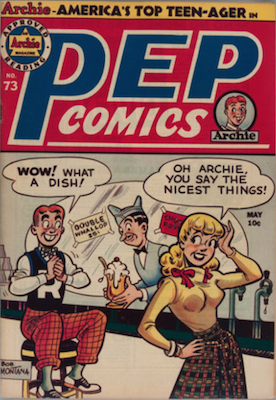 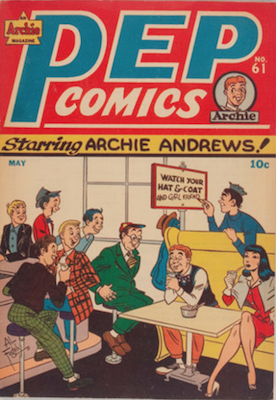 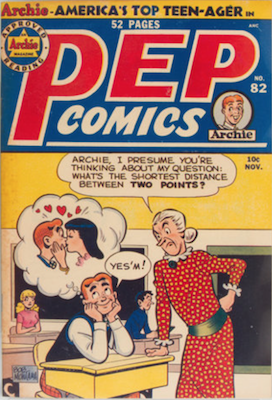 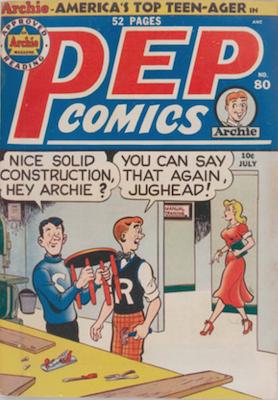 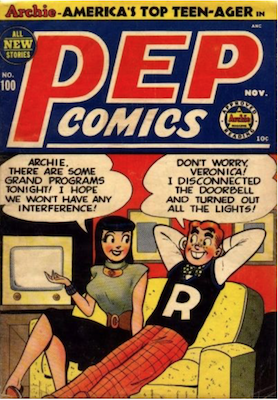 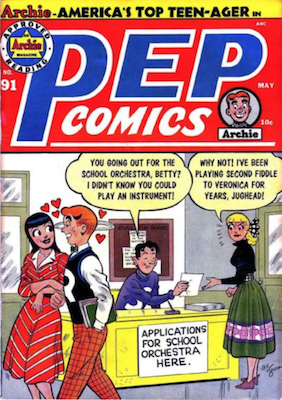 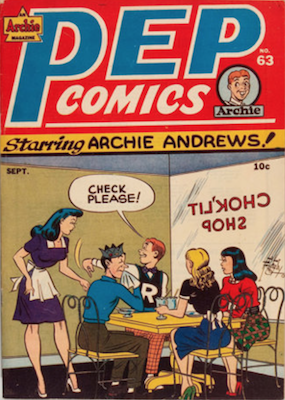 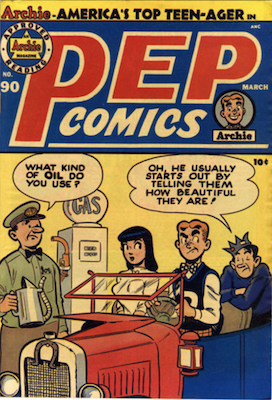 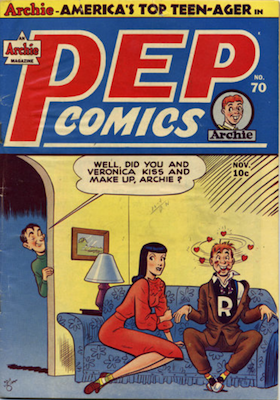 The first Archie cover on Pep 36... and then first appearances of Betty, Jughead, Coach Cleats, Archie's Jalopy, Veronica and Mr. Weatherbee. 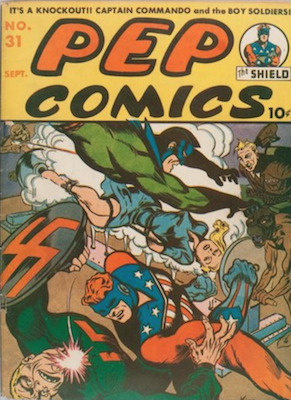 If you have found some classic Pep issues from #1 up, then use the button below to get your free online comic book appraisal. 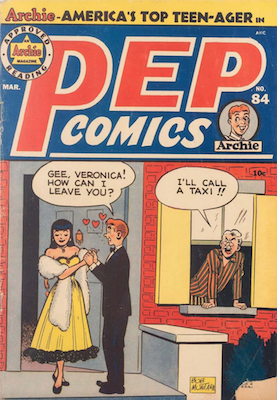 Issue by Issue record sales and minimum values. 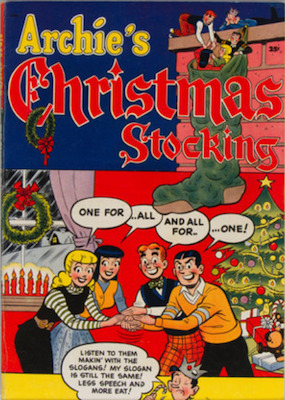 We also include Archie's Christmas Stocking and Archie annuals. 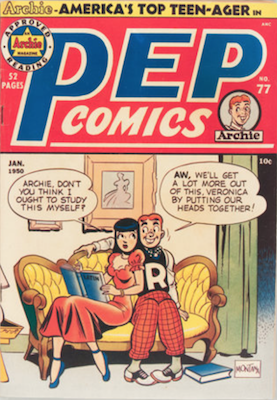 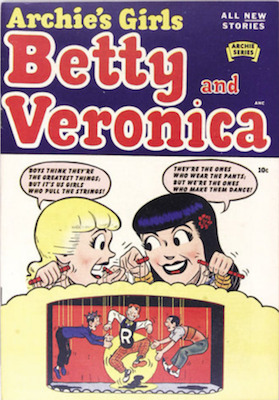 We highlight many of the famous Archie series, including Jughead, Betty and Veronica, and Sabrina. 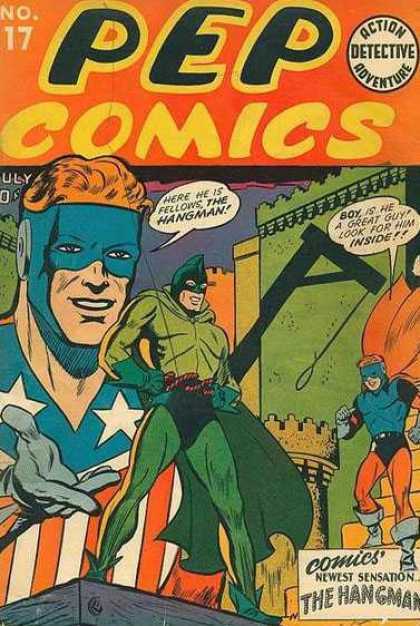 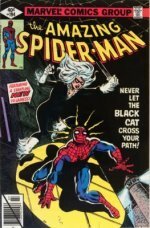 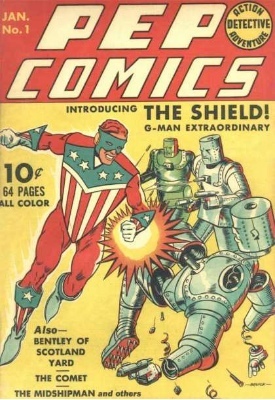 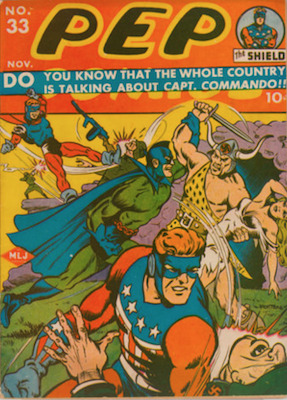 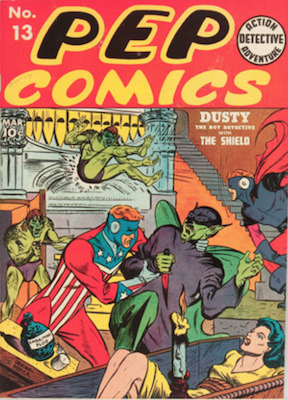 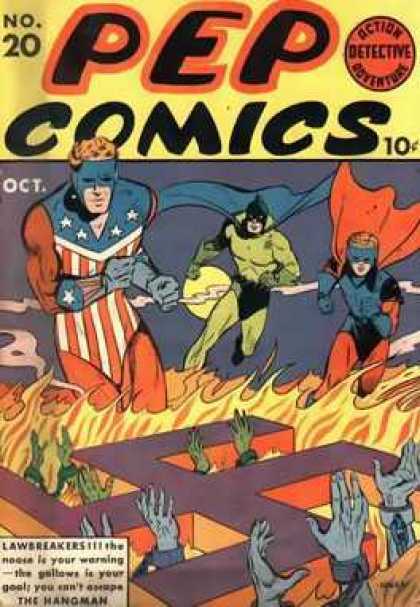 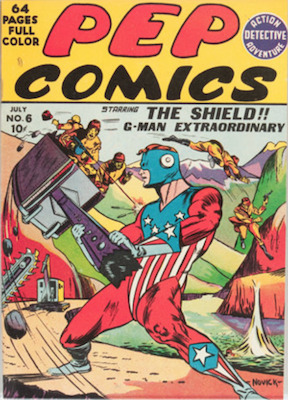 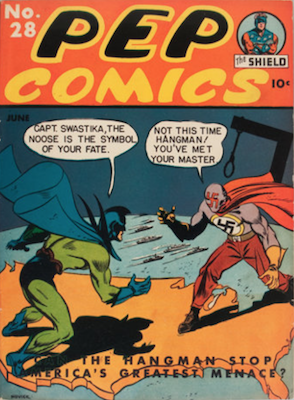 The world's toughest and most elusive comics put under the microscope! 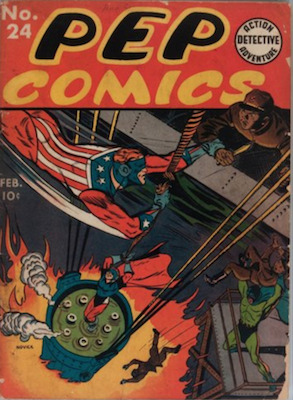 What are they worth today? 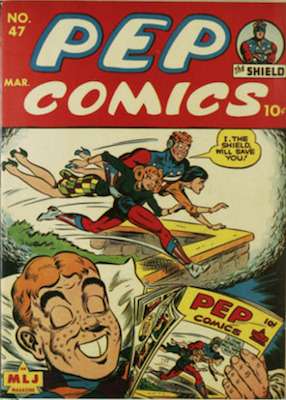 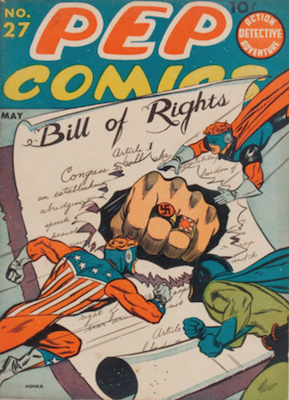 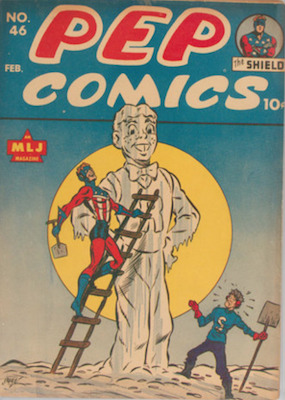 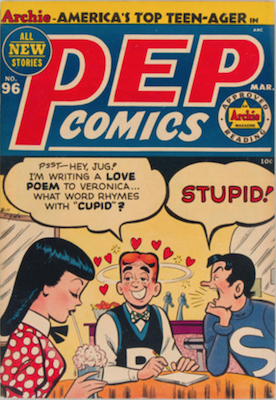 Click to Value, Appraise or Sell Pep Comics to Sell My Comic Books!